AT&T has slowly been rolling out Wi-Fi calling to a number of Android phones, and a big batch of Galaxy devices are the next in line. 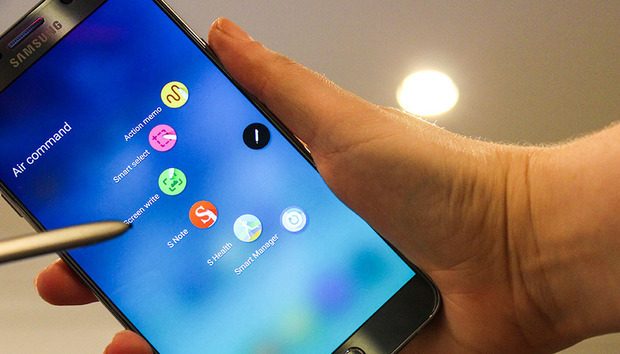 The Galaxy Note 5, S6, S6 Edge, and S6 Edge+ are all now part of the happy club. There were a few other updates, so let’s get to them. Galaxy Note 5: This is the first of four new phones to get AT&T’s Wi-Fi calling and Advanced Messaging. The latter feature gives you real-time typing notifications and allows you to send attachments up to 10MB in size. Look for an over-the-air update to arrive, which also brings the August security patch. Galaxy S6: Same batch of details here. AT&T says to connect to Wi-Fi for the update. Galaxy S6 Edge: The curved option is also part of the party, according to AT&T. Galaxy S6 Edge+: Last but not least, the same goodies and security patch are coming to this model, straight from AT&T. OnePlus 3: OxygenOS 3.2.6 is rolling out, and with it comes a ton of bug fixes. OnePlus says the update includes improvements to the call quality in IM applications, adaptive brightness performance, camera quality, touch accuracy for games, and several other fixes. It’s an incremental over-the-air update, so you may need some patience. Xperia C5 Ultra: Try not to wear out the update button if you have this model as well, given that Marshmallow is finally coming your way. Galaxy Note7: Carriers are now sending out an update to the non-explosive Note7 models that indicates they’re safe for use. Samsung has shipped 500,000 new devices, and they’ll all get an update that turns the battery indicator green. Models that should be replaced also get an update that will alert you to exchange your phone for a new one.